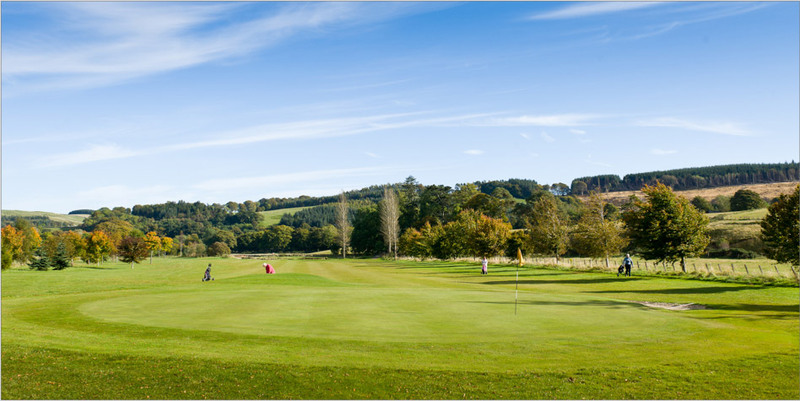 New Woll Estate and The Woll Golf course offer the complete Scottish golf experience as well a fantastic range of activities in the Ale Water Valley for a full and exciting golf holiday you shouldn't look any further. Combine Golf days with fishing, clay shooting, horse riding or tour a whisky distillery, satisfy your urge to shop in the many close by Borders towns or a day trip to Edinbugrh. Corporate Packages - With up to 26 guests at a time in our luxury accomodation we have hosted many companies as they have brought clients and employees to entertain. Great Value - With 4 nights and 5 days golf from as little as £100 per person it is great value staying on the Estate in our luxury properties. There are excellent practise facilities at Synton Mains just across the A7 from the Course. They are open day and night (Flood Lit) for all those who need to practise. As Gary Player once said “The more I practise the luckier I get". Why not visit the range and brush up on your game.